The older my boys get I swear they are hungry ALL. DAY. LONG. They are like little cows roaming the house, just grazing all day long. They are always like this but at least during the school year it is condensed down to three hours. Now that summer is here? It’s like 8 – 10 hours of the kids asking what there is to eat! 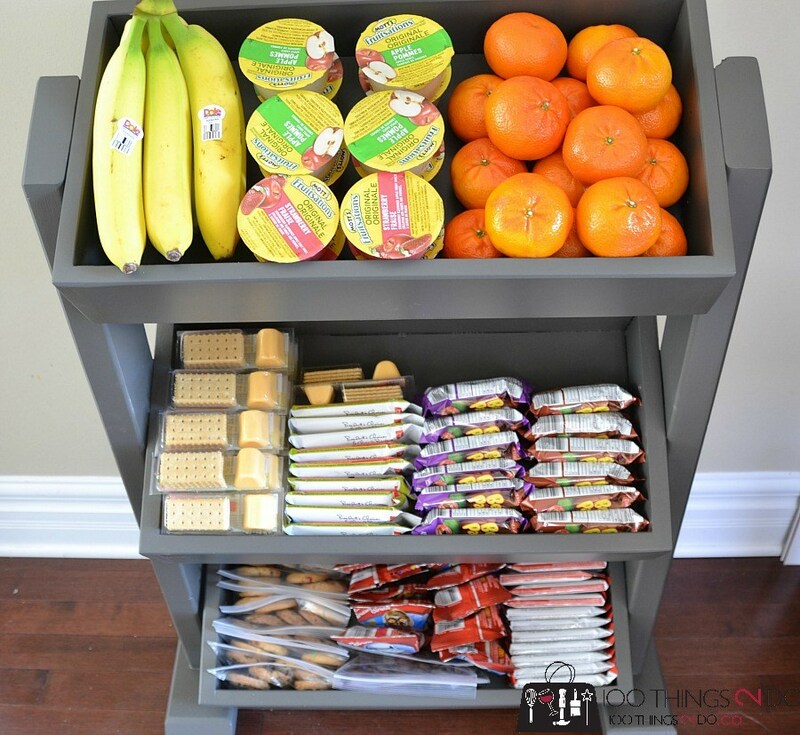 I have always kept a snack basket in the pantry but I’m realizing that isn’t going to cut it so I’m going to back to the drawing board! 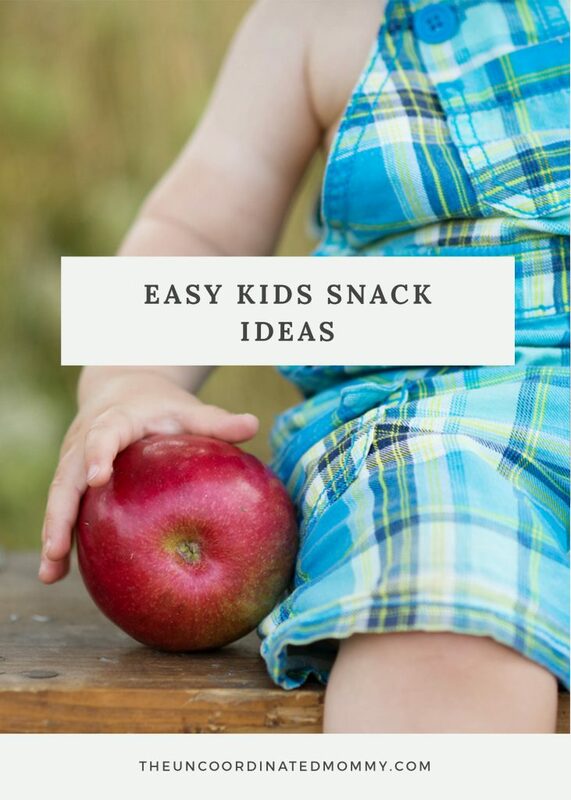 Below are some easy kids snack ides to help you survive summer! First I’m going to get back into the habit of keeping out a bowl of fruit on the kitchen table. My cousin posted about this on Facebook a few months ago and it really is the best thing. 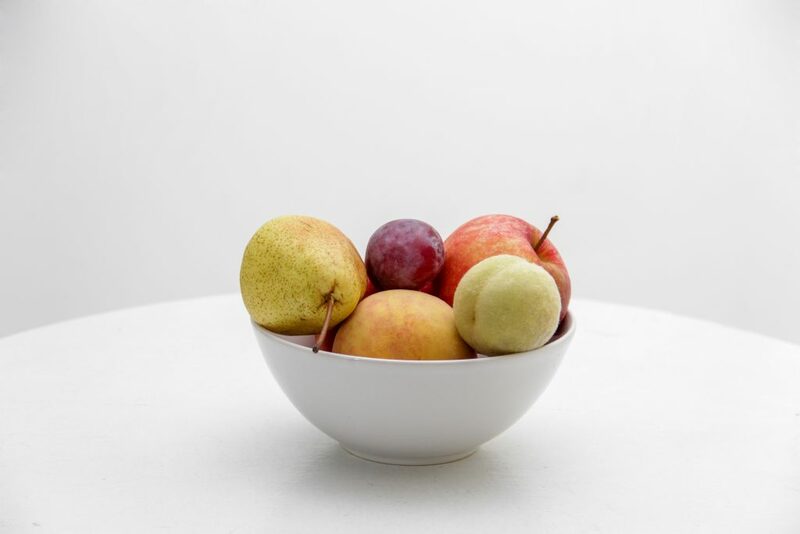 If you feel like you are in an apple and banana rut here are some fruits that can be stored at room temperature! Some of these will require your help, but it helps to have different options out. You never know when they might pick up a mango and ask if they can try it. It may be a long shot, but trust me stranger things have happened! The list of healthy snacks you can store in the fridge is much longer and once your kids are old enough to get something out by themselves it becomes a bit of a novelty for them. My four year old thinks he a big kid now that he can open the refrigerator door all by himself. I have gotten out of the habit but this is definitely going to come in handy this summer! 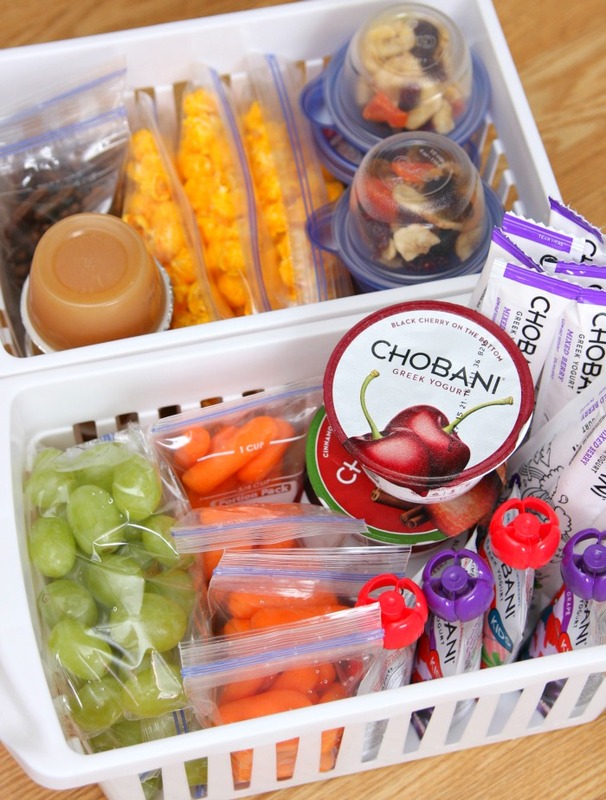 Take that cold cuts drawer and turn it into a drawer full of healthy snacks! Or use these dollar store baskets above like Kara from Happy Go Lucky! There is a little prep work involved but if you always have a box of the little plastic snack bags you will be good to go. I try to make these as I am putting away groceries. Or if you are super crafty to can make or buy one of these!! It’s like my dream snack stand! It really reminds me of the snack stand at Whole Foods and I have the perfect place in my kitchen to put it. 🙂 One of these three tiered utility carts might do the trick though! 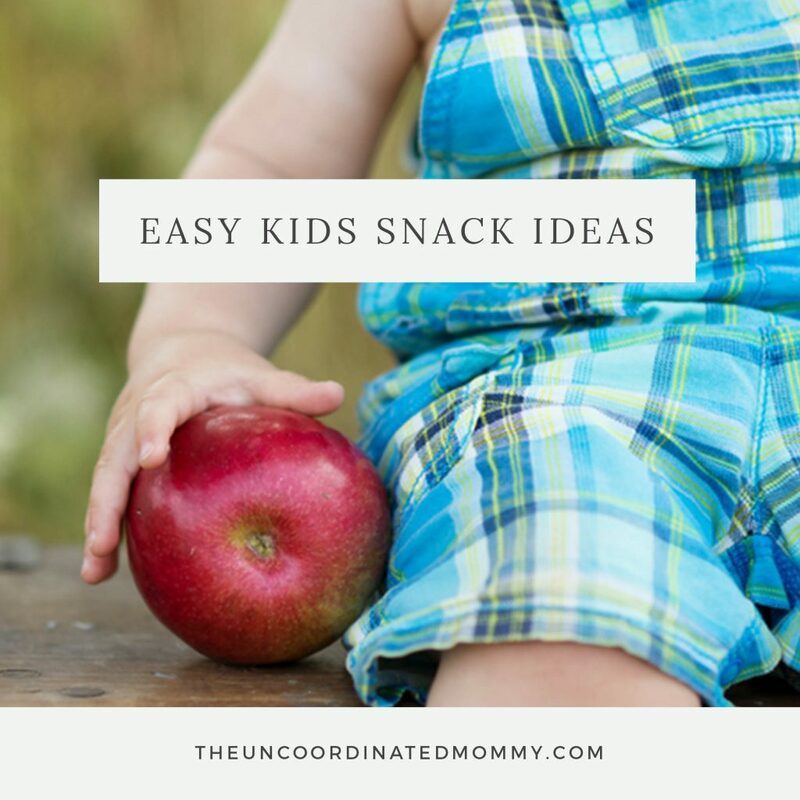 What are some of your favorites easy kids snack ideas? This is definitely not a full list, but I hope it’s enough to get you to think outside of your norm but without being crazy overwhelming. If you haven’t already don’t forget to sign up for our newsletter where you can get an email every Monday morning with FIVE dinner recipes delivered straight to your inbox. I also have a few exciting things in the works that I can’t wait to share with you. I can promise you this, it is going to save you time and hopefully make your life just a little bit easier. Check out the What’s For Dinner archives here! Yummy ideas. 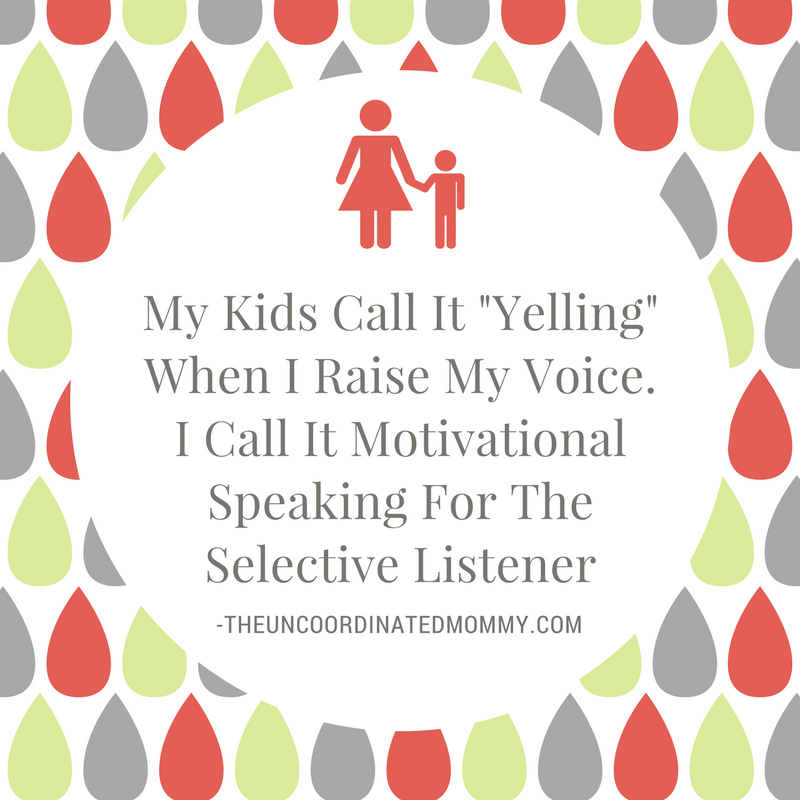 I’m always looking for snacks my oldest can get while i’m busy with my youngest (or when i’m trying to work cause i’m a WAHM).